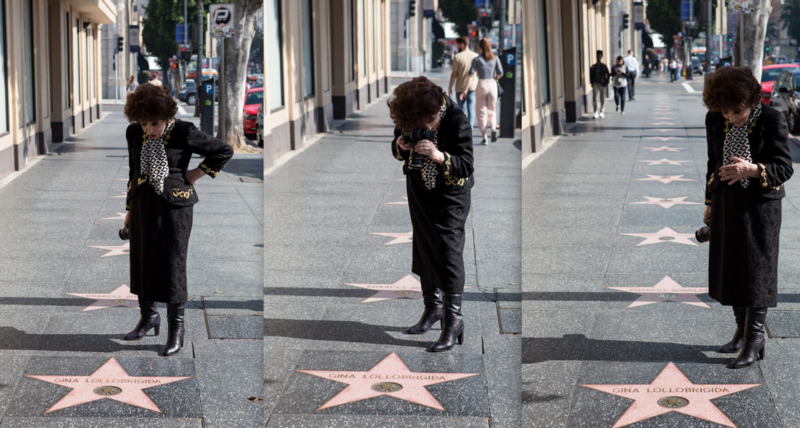 Photographer Brennan Tope noticed the Italian siren standing hand on hip, all in black, at her star on the Hollywood Walk of Fame in L.A. today, surveying her name (she received her star only a year ago) and holding her camera. 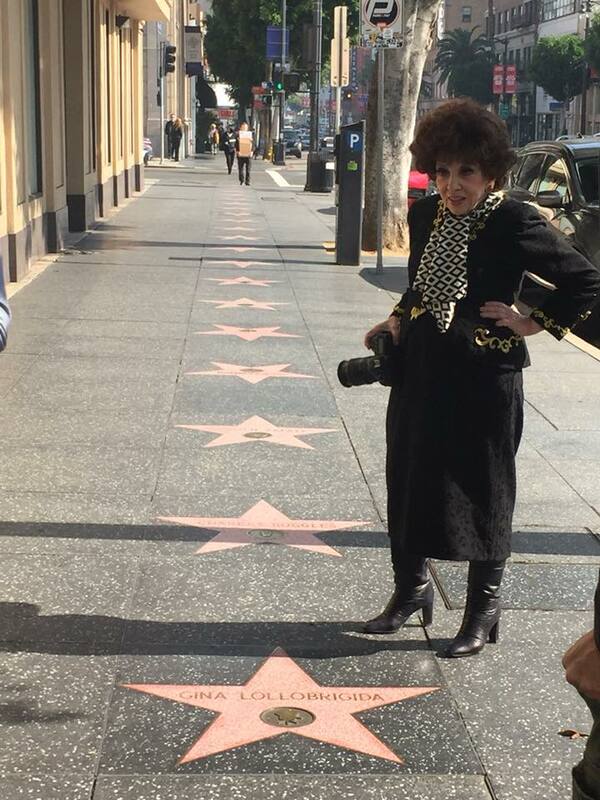 After her movie career fizzled, she became a respected photojournalist, and scooped the world in the '70s with a juicy Fidel Castro (1926-2016) Q&A, so it's altogether perfect that she would be caught in this exact pose with camera in tow. This is very nice to see. I’m glad that she is still with us and enjoying life. She looks cool.